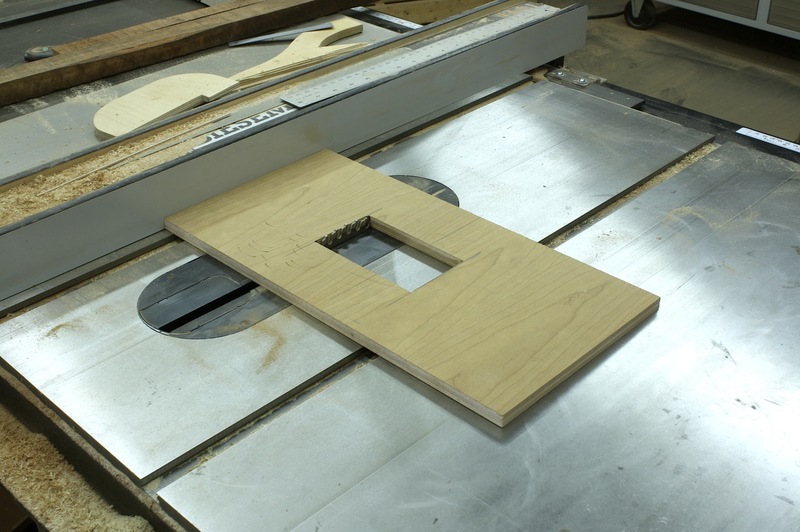 Now that’s a nice way to make the jig. It sure beats my now “old” way of cutting and gluing up scraps. How many clocks are you building? Although your raising-the-saw blade method can’t be beaten in terms of speed, I learnt that it is easier to build up pieces to make a hole than it is to cut one out. 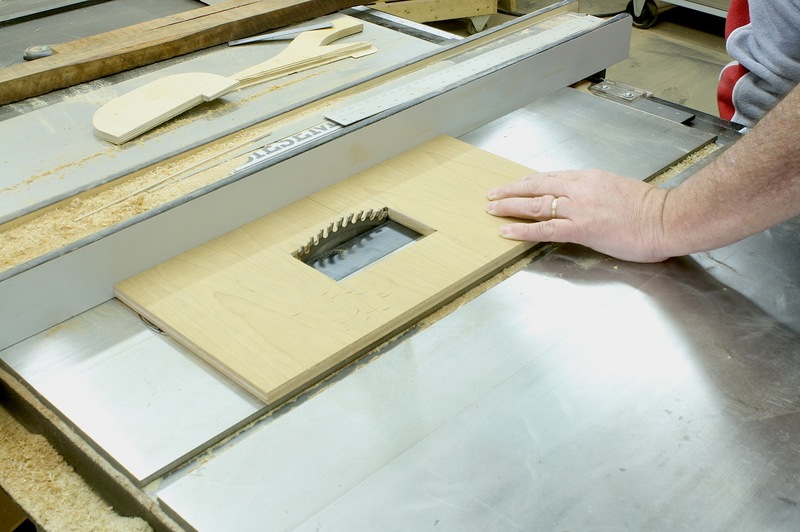 You take a piece of thin hardboard with the square cut out oversized with a jigsaw. 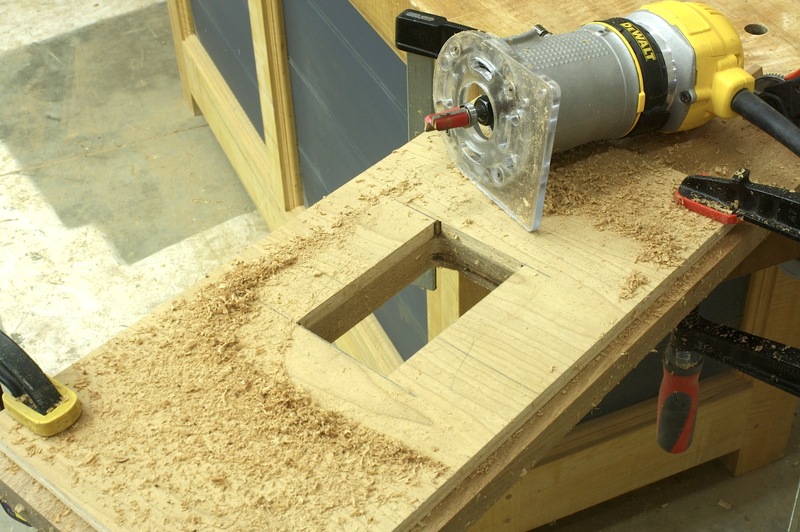 Then stick 4 individual straight pieces onto this hardboard base to make up the “hole”. In this way your corners are crisp and accuracy is ensured. Still like your way though. 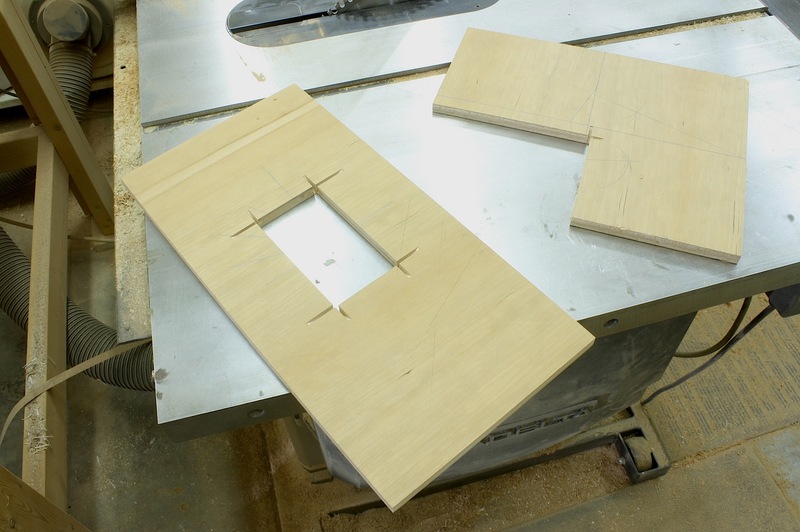 I’ve watched Bob Lang build jigs that way and it works great. It takes a little more time, but you do eliminate raising the blade through your workpiece. 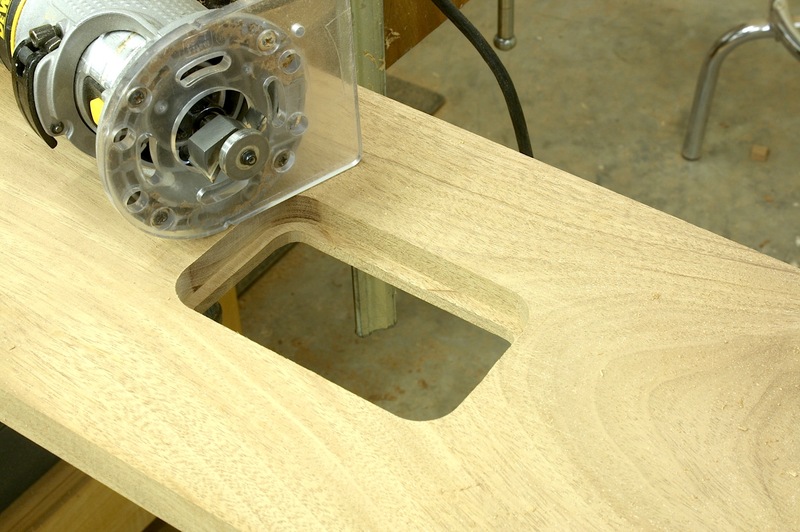 As for the sharp corners, I don’t find that a big deal because if you use a bearing-guided router bit, you will still come away with rounded corners; your bearing does not get tight into those tight corners. 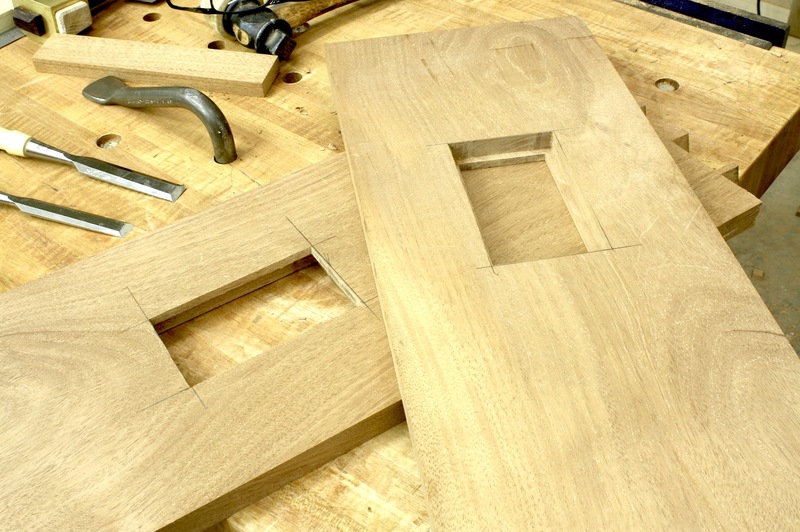 The good thing about a built-up jig is that the corners are easily laid-out and pared using the jig as a guide for your chisel work.